We study the problem of classification as this is presented in the context of data mining. Among the various approaches that are investigated, we focus on the use of Fuzzy Logic for pattern classification, due to its close relation to human thinking. 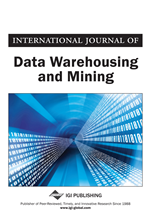 More specifically, this paper presents a heuristic fuzzy method for the classification of numerical data, followed by the design and the implementation of its corresponding tool (Fuzzy Miner). The initial idea comes from the fact that fuzzy systems are universal approximators of any real continuous function. Such an approximation method coming from the domain of fuzzy control is appropriately adjusted into pattern classification and an “adaptive” procedure is proposed for deriving highly accurate linguistic if-then rules. Extensive simulation tests are performed to demonstrate the performance of Fuzzy Miner, while a comparison with a neuro-fuzzy classifier of the area is taking place in order to contradict the methodologies and the corresponding outcomes. Finally, new research directions in the context of Fuzzy Miner are identified, and ideas for its improvement are formulated.